By now, you know that social media is important to your company’s success; the challenge comes with knowing which social platforms to target and how to best use them. This is relatively easy in the B2C world, but people get a bit more of a headache in the B2B world. One way to decide how to best use social media is by looking at how other companies are successfully using it. Here are three examples of social media platforms and how B2B companies are maximizing their capabilities. HubSpot is a marketing and sales software company that’s attacking the problem most B2B companies struggle with: how to use Snapchat in the B2B space. They do it in two different ways. The first is as a marketing platform. HubSpot views Snapchat as a way to build relationships with their customers by offering “behind the scenes” shots, such as when they host speakers or events like INBOUND – or even just day-to-day life. The second way HubSpot uses Snapchat is as a recruiting platform. They’re constantly looking for new people to join their team, so they showcase things like company culture, employees doing amazing things, job perks, and the daily life of a HubSpot employee. This works well for them because most of the people they want to hire are the same age as Snapchat users. Snapchat is a good tool to use with your existing clients to reinforce relationships. They’ll like seeing the “behind the scenes” things your company does, which will promote a stronger partnership. 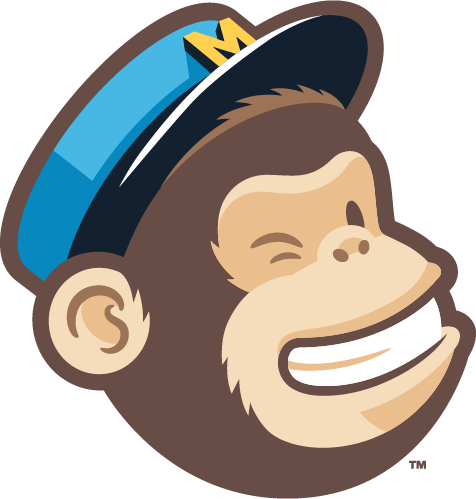 MailChimp is an email provider that uses Instagram in a really fun way. Their goal is brand awareness, and they’ve mastered it with the use of their logo. Their logo is a chimpanzee head wearing a blue hat, so it doubles as a cute, sharable mascot. They post colorful, upbeat, and inviting photos to promote the happy emotions they want you to feel when using MailChimp. So if you have a great brand, logo, or mascot, Instagram can be a great tool to promote what you’re all about. Adobe is a software company that focuses on creating amazing graphics, which is evident on their Twitter page. They grab people’s attention with the amazing images they post and partner them with a call-to-action. They have a reason for every post – a helpful tip, a tutorial, a new release, etc. – and there’s always a link for more. They pull people in with visuals but also have great information to back it up, creating trust between them and their followers; there’s no fear of clickbait. Twitter is a great way to post shareable content, but make sure you aren’t leading people astray with your visuals or you’ll probably lose them as a follower. As B2B companies, we know we should be using social media, but we aren’t always sure how. There are many more ways to use social media, but the examples above help shed a light on their possibilities.